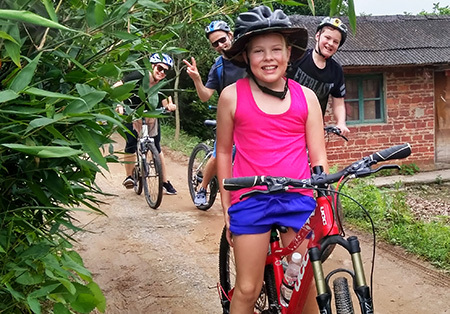 Tour Overview: GCT's bike tours are not only designed for skilled, frequent cyclists, but also families including kids and seniors, who are interested in both outdoor activity and Chinese culture. 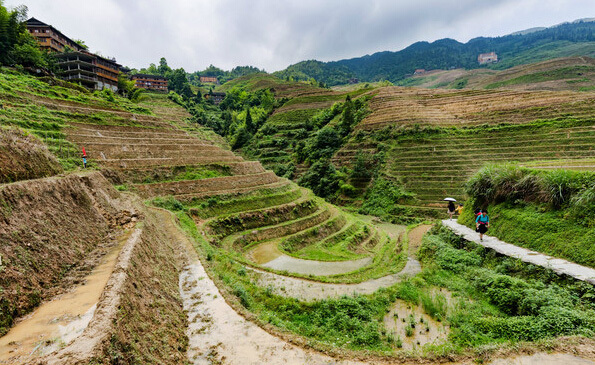 During this tour, you will listen to a great presentation of the Chinese tea culture, have a cooking class of local dishes, cycle in the countryside, take a boat cruise down the most beautiful part of Li River and bamboo rafting at Yulong River. Fun experiences for family members! 3. Enjoy a bird's eye view of Guilin city with the cable car to the top of Mt.Yao. After airport pick-up and transfer to hotel. 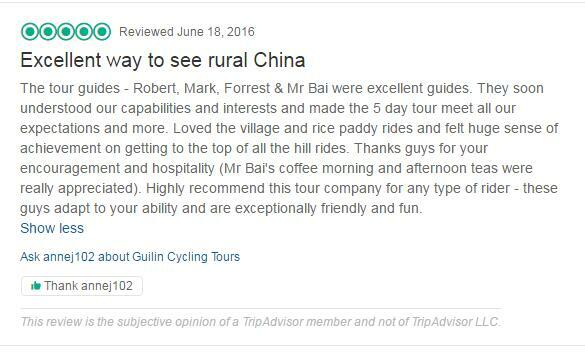 You’ll meet your tour leader and test our bikes at our workshop at downtown of Guilin. We'll go over all the formalities of the trip and answer any questions that you may have. After that, we’ll head out for our first delicious evening meal. 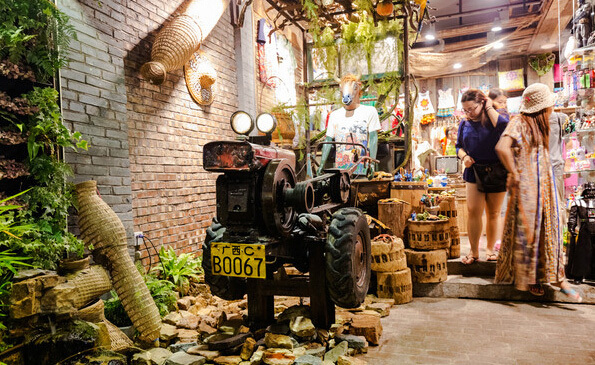 With plenty of restaurants and eating options, shopping strips and cafes, it’s a good chance to see how the local urbanites spend their evenings all against a backdrop of the area’s stunning karst mountains. At the tea farm, you will have a great course of learning how Chinese tea is made, with a chance to pick and taste different kinds of tea flavor and its cultural background. After the experiences, we will cycle back to where we started. You will need to transfer or walk back to your hotel on your own. Our trip for today has to be started early for our one-day boat ride to Yangshuo. The car picks us at around 7:30 -8:00 in the morning and then for about one hour bus ride to the Zhujiang Pier. Li River cruise is arguably considered as the most beautiful one in this country, which takes about 4 hours. During the cruise, you will enjoy the fantastic view of limestone hills, clear river, water buffalo, old farmers' houses, and much more in a leisurely way. Simple sandwich lunch served on board. We will arrive at Yangshuo around 1:30pm. If the weather allowed, the guide will lead you to climb up to the top of one mountain to view the stunning sunset view and have a bird’s-eye view of the Yangshuo County. We will go to enjoy the popular Liu Sanjie Light Show at 19:30 after our dinner. 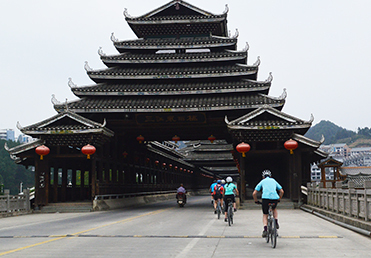 Today we going to find out three ancient bridges by bike along the Yulong River Valley. 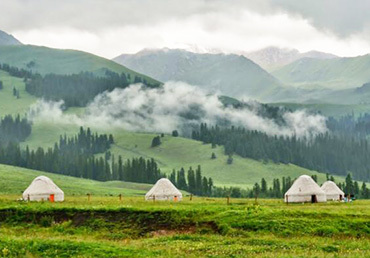 It is so picturesque with stunning limestone peaks, green rivers and rice fields. 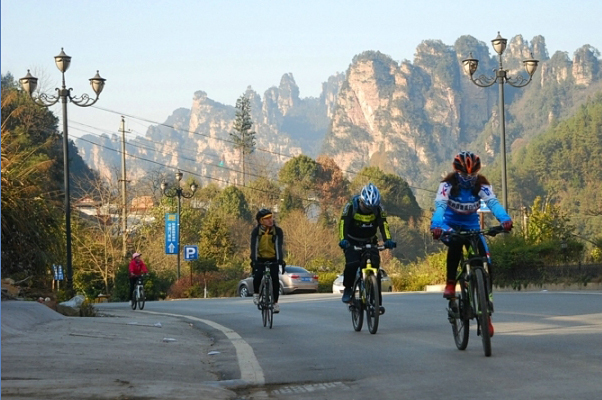 Enjoy this peaceful cycling trip in the countryside. 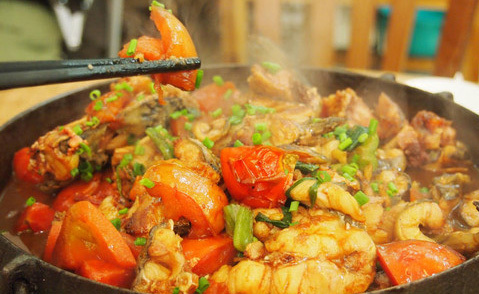 In the afternoon, we will go to attend a cooking class to learn how to prepare the Chinese dishes after a short visit to the local market. You will enjoy your dinner that made by yourselves! You may leave today or stay longer in Yangshuo. Our trip service ends at breakfast today. If you need transfer service, please let us know in advance. 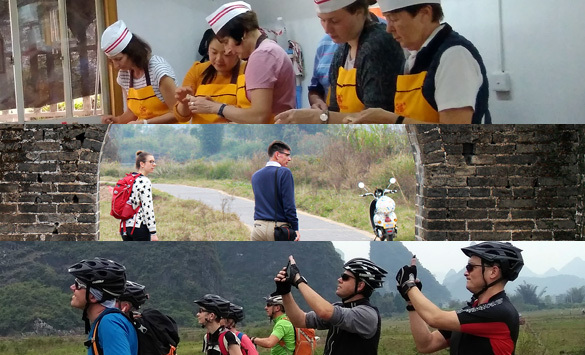 Ticket fee of the tea farm, Cable car at Yao MT., Li River cruise to Yangshuo, Light Show ticket at Yangshuo and ticket for cooking shcool ; Helmet is offered for free but we suggest bring your own ones and cycling gear.